Mckenzie has been diagnosed with a tear of the ACL ‑ a key ligament in the knee. Speaking to reporters, All Blacks coach Steve Hansen said it is a shame for McKenzie and the All Blacks but injuries do occur. The Chiefs fullback was helped from the field in the second half of the Chiefs' win 33‑29 over the Blues in Hamilton on Saturday. 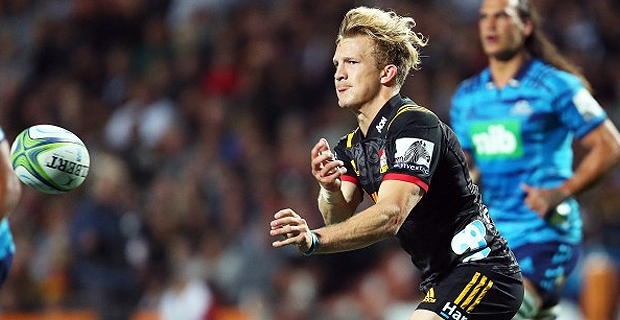 McKenzie is unlikely to return to rugby until early 2020 in a major blow to the Chiefs' campaign and leaving Hansen with a puzzle over how to replace his versatility. The elusive 23‑year‑old's ability to play both fullback and five‑eighth had made him invaluable over the last two seasons.